Summary: Lady Arabella Sutton is stunned to learn her brother has betrothed her to a stranger despite his promises for a season in London. Although she is the first to admit no man would suit, since she’s more interested in horses than marriage, the last thing she wants is to become a brood mare to a stuffy old earl. Facing a future she cannot abide, she takes an impetuous ride to clear her head and ends up tending her injured mare instead. Review: Another cute little book for the holiday season. And this one has horses - always a good way to get me interested in a book! Length is probably my biggest pet peeve, here - I would have enjoyed more exploration of the two main characters, especially Arabella. Everything is quite condensed and you have to be prepared to set aside normal skepticism. Character development suffers due to the short length, and readers will have to be prepared to go with the flow of romance - the foregone conclusion that the main characters will get together. Romance in general tends towards 'fiery' heroines, but I found that I quite liked Arabella - she knows what she has to do according to the times that she lives in, but that doesn't mean that she has to like it! Oliver was a bit more bland, and that's where the romance falls into one of the pitfalls so common to the genre - the writing relies on the assumptions that readers make about romance, and on the idea of the 'attraction' between the main characters. 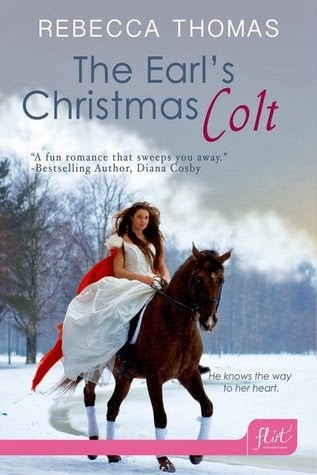 Still, mstaken identity/deception with identity is always entertaining when it comes to books, and this story incorporates that along with a hint of attraction, a mutual love for horses and a touch of winter spirit. It was a fun little read, quick and sweet. Disclosure: A copy of this book was provided through Netgalley in exchange for an honest review.